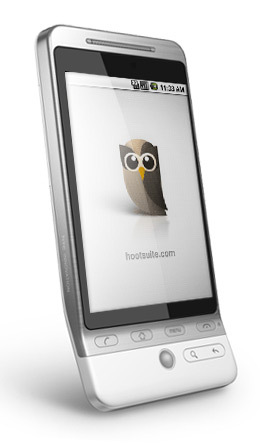 Despite worldwide adoration, the HootSuite iPhone App seemed a bit lonely. So the thoughtful developers went back to the factory to build more robots and had so much fun, they made Lite robots too. 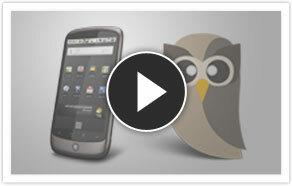 Simple, elegant and powerful, HootSuite for Android and iPhone are available in full featured versions (allowing unlimted accounts and statistics tracking) and Lite versions at no cost – yes, gratis, put your checkbook away – free. We knew you’d like that. Visit the Android Market and Apple App Store to click your choice. 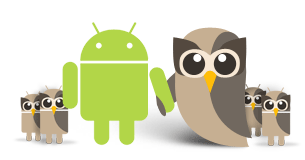 Just around the next corner, current HootSuite iPhone customers will be among the first to get their fingers on version 1.2 which includes two highly-requested additions: Facebook integration and landscape view. Indeed, these robots are friendly. iType2Go is the revolutionary new way to update your Facebook/Twitter status while walking. 1) Start by typing your message. 2) Press the chat bubble to reveal the action buttons. 3) Tap on Facebook/Twitter button to update your status. 4) Tap on E-Mail button to send as email. 5) Tap on SMS button to copy text to clipboard. Remember to configure your Facebook and Twitter accounts in the app’s settings. Requirements Compatible with iPhone and iPod touch. Requires iPhone OS 3.1 or later.